In an exciting collaboration between the University of Kent, the Visual Commentary on Scripture project, King’s College, London and Canterbury Cathedral, the Department of Religious Studies has brought together some of the most widely-respected experts and historians on stained glass and theology in a special series of talks entitled ‘See Through Stories: Windows on the World’ about the iconic Miracle windows at Canterbury Cathedral. 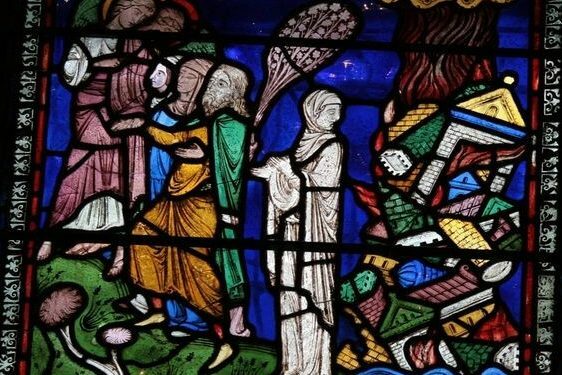 Participants will have the opportunity to view the windows prior to each talk, which will explore how these windows were made, the stories they tell, the biblical figures they illustrate and their relevance for today. Tickets are £8 per talk or £35 for the series. Entrance is FREE for school students and teachers, and university students. All places, free and paid-for, must be booked online in advance. Please arrive at 18.30 in the Cathedral, if you wish, for a view of the window(s) relevant to that evening (or at 17.30 for Choral Evensong beforehand). Each talk begins at 19.00 in the Clagett Auditorium, Cathedral Lodge/Study Centre. Organised by the Department of Religious Studies at the University of Kent, and Canterbury Cathedral. The University would like to record its thanks for the support of the Friends of Canterbury Cathedral. This entry was posted in Campus online, Events on 16 April 2019 by Tim Davies.